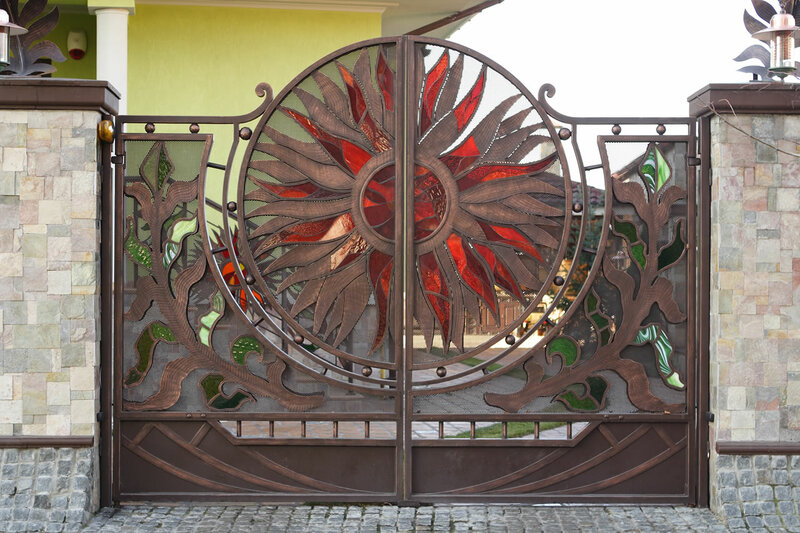 Wrought iron gates Tantiema plant may have any options for drawing and painting more than 60 variants. 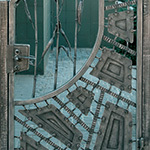 We provide a clean installation, galvanizing, installation of locks. 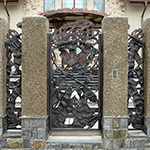 Designers produce individual project development. 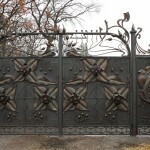 Possible forged gates on the project customer. 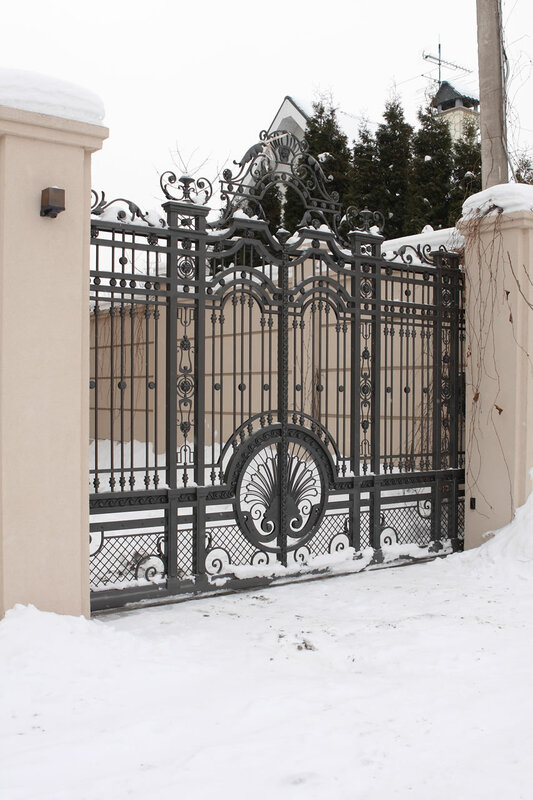 Also, you can choose ready-made gates of Tantiemas catalogs. 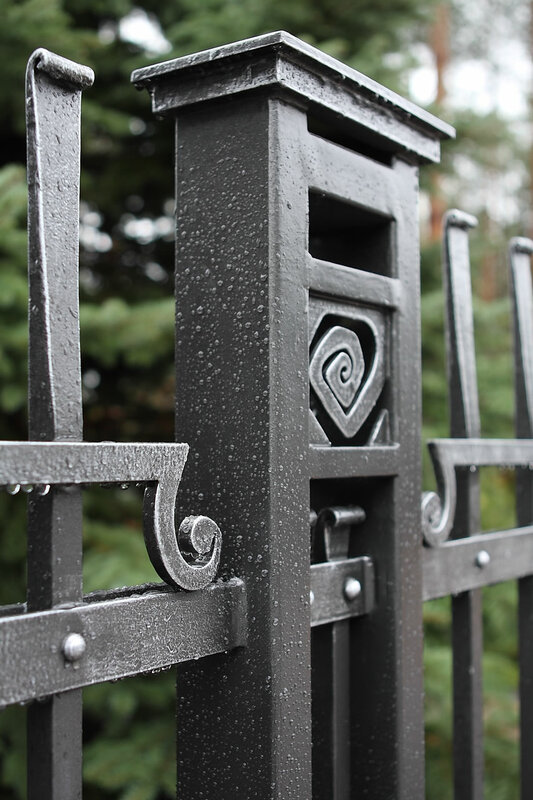 The Tantiema plant applies patented technology precision castings. 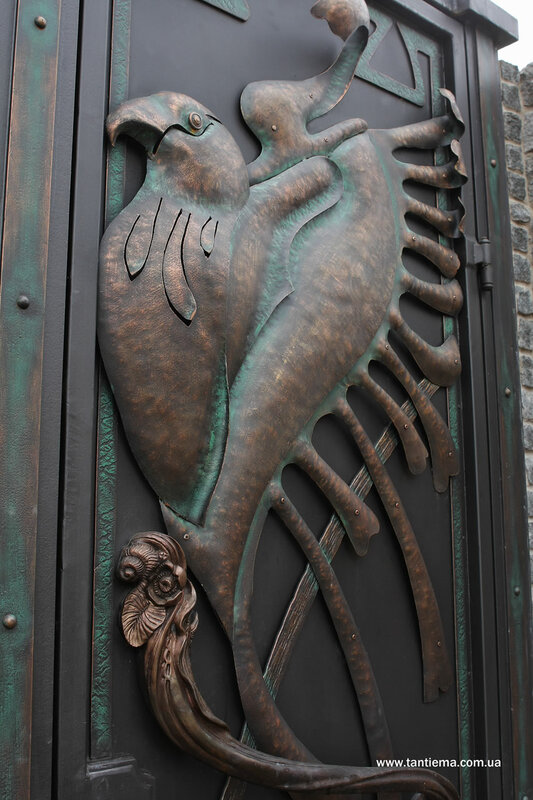 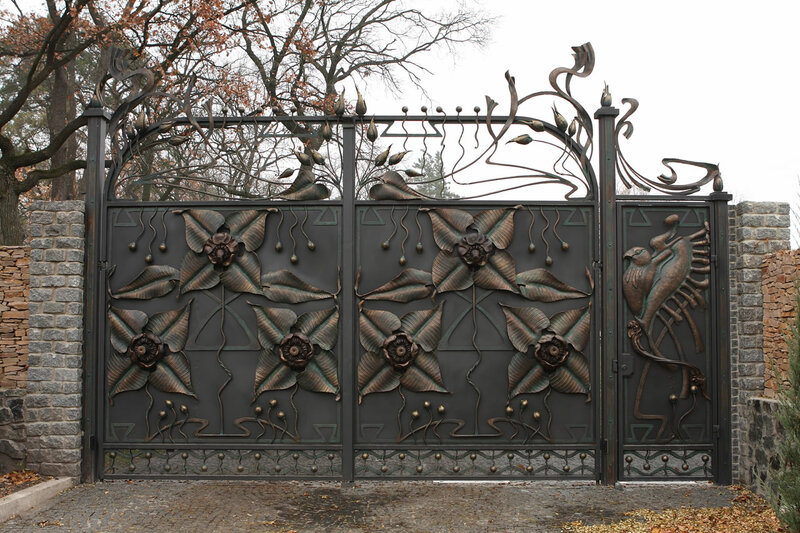 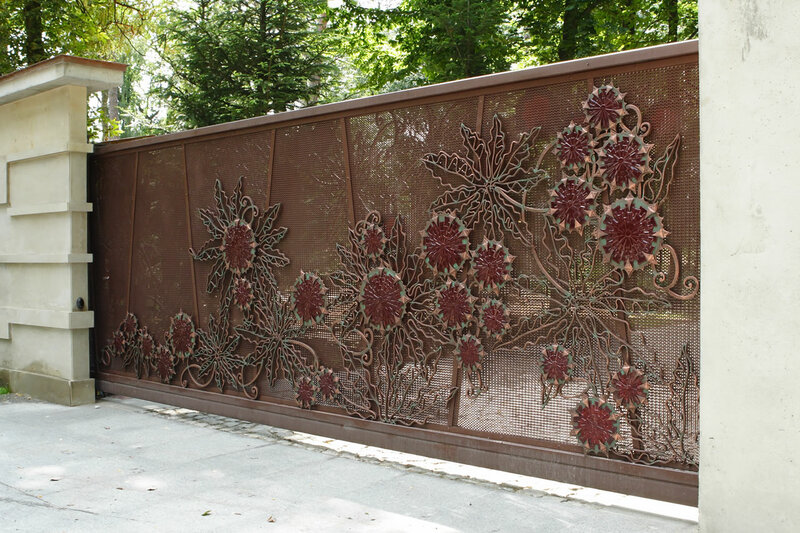 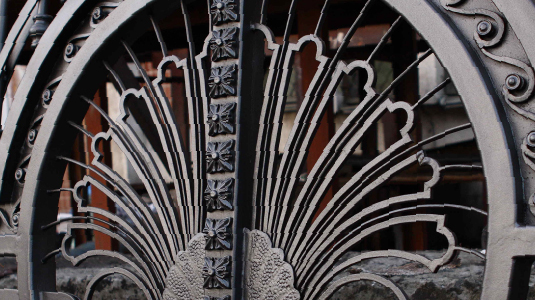 Additional features of forged gates decoration include the stained glass inserts in the techniques Tiffany and Fusing and Acanthus leaves. 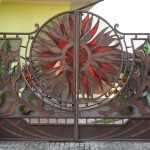 90% of each product – it is handmade. 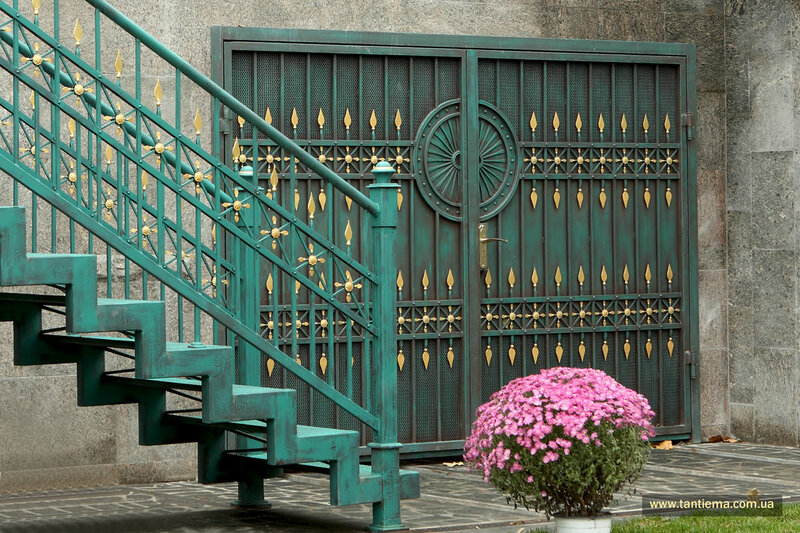 Their advantage is an infinite lifespan. 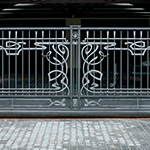 There is the possibility of sewing monolithic polycarbonate, mesh or metal sheet. 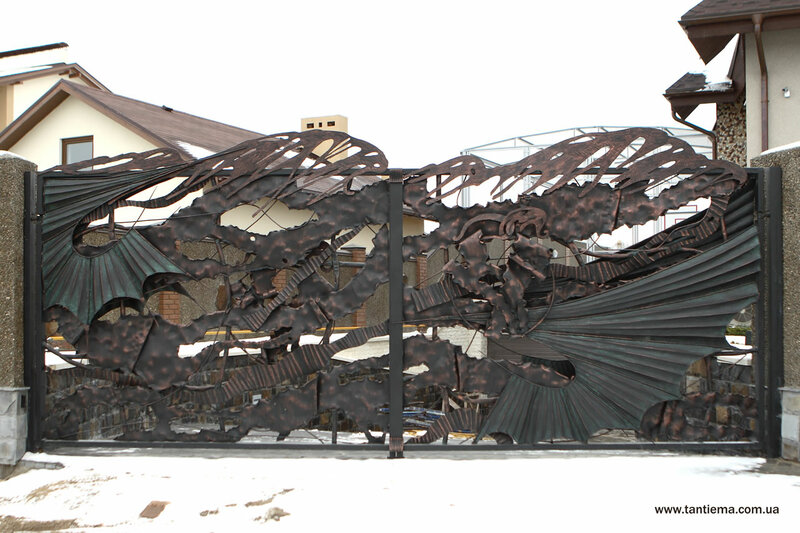 In the latter case, blacksmiths can perform both one-sided and double-sided picture. 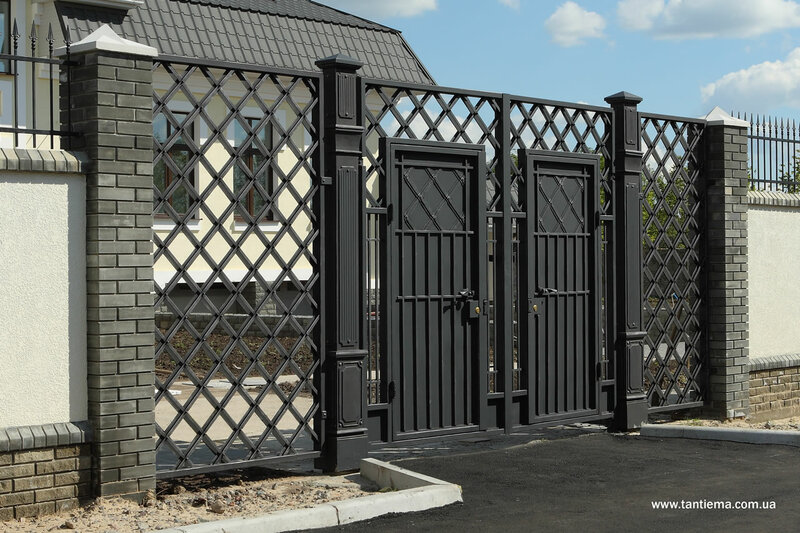 Tantiema can build a hinged and sliding gates. 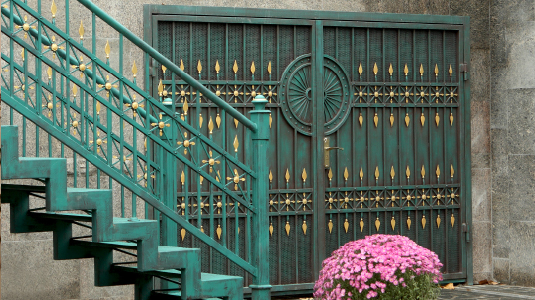 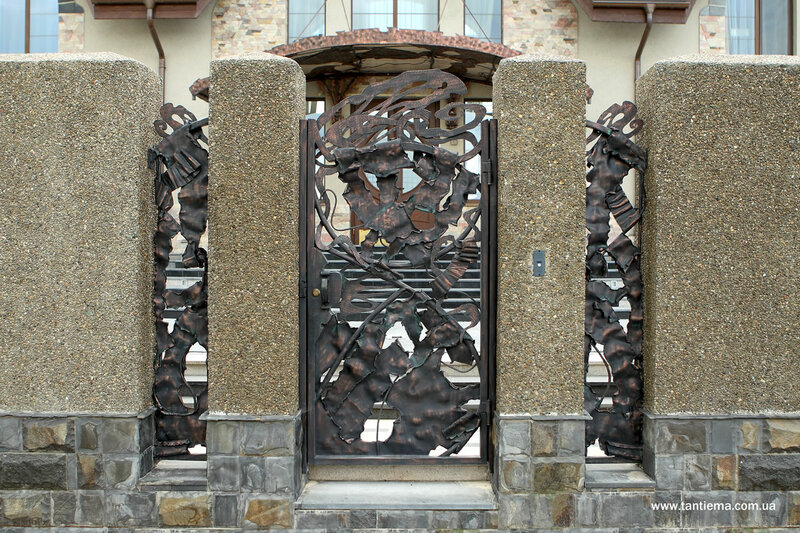 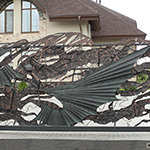 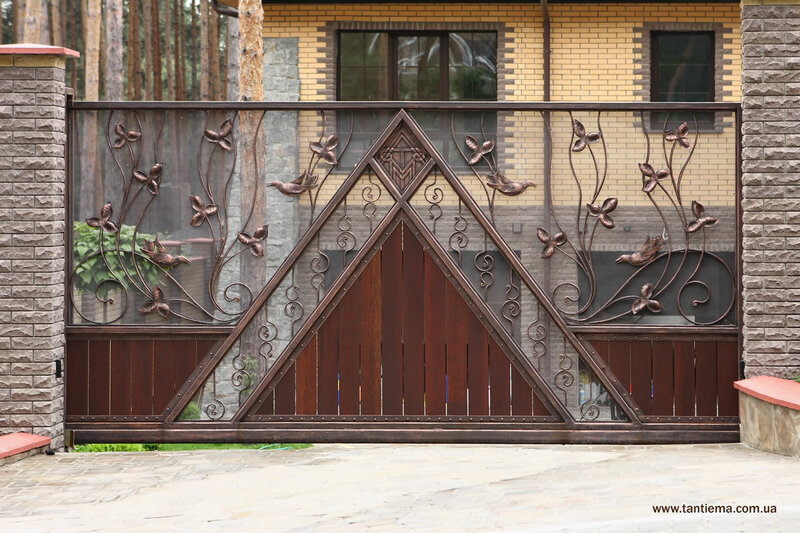 Buy wrought-iron gate, as a rule, decides a person with artistic taste and craving for beauty. 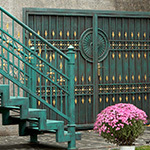 If people meet on clothes, the gate form a first impression of the house. 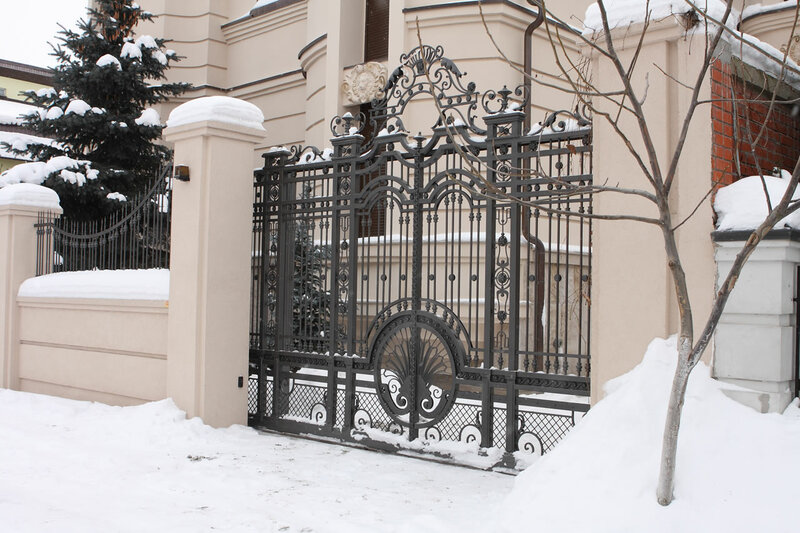 In Kiev, the wrought-iron gate set itself successful people. 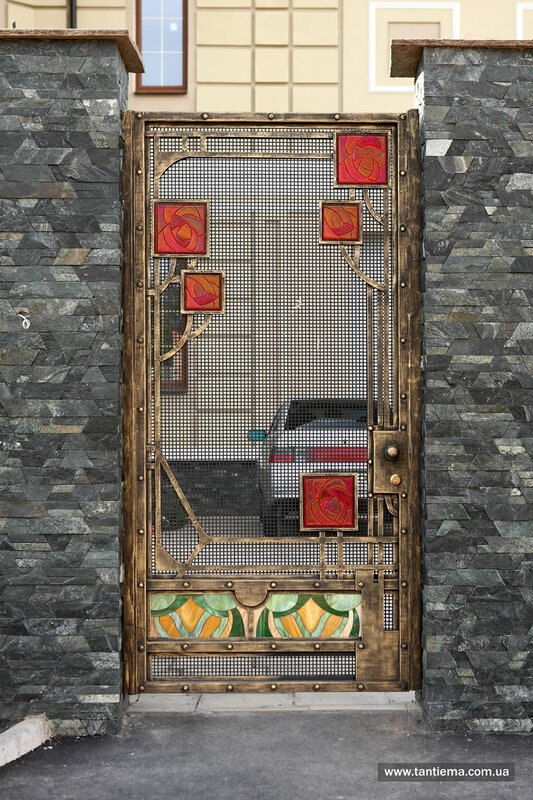 It is out of fashion and time, as well as any classic. 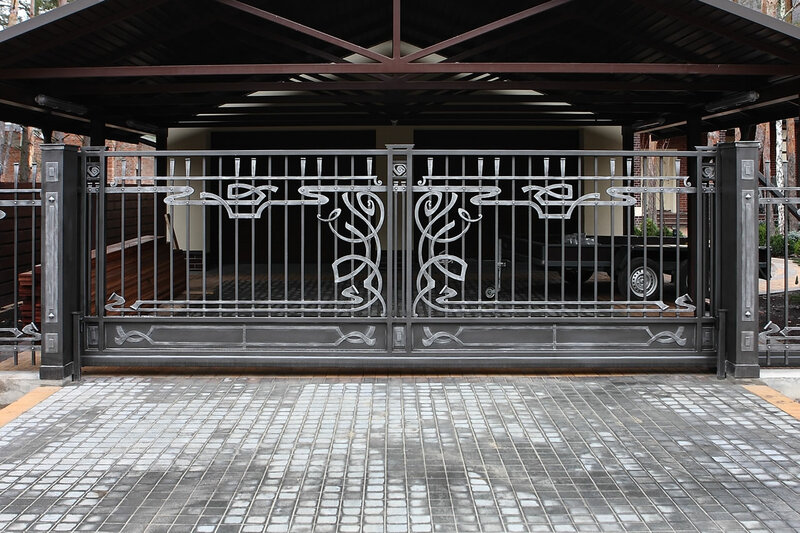 At the Tantiema plant work better blacksmiths and designers, as evidenced by numerous awards from competitions (including international). 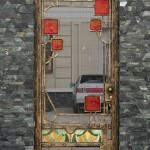 The results of the work you will enjoy yourself and to show with proud for guests. 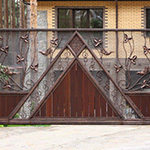 Wrought iron gates are the following types: open and closed. 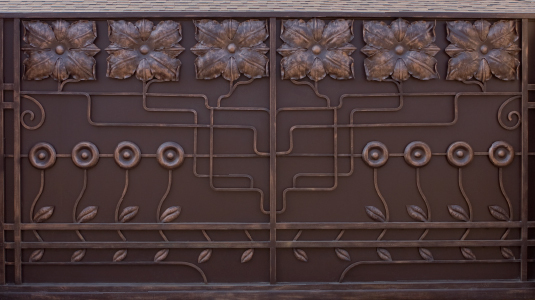 Each type has its own advantages. 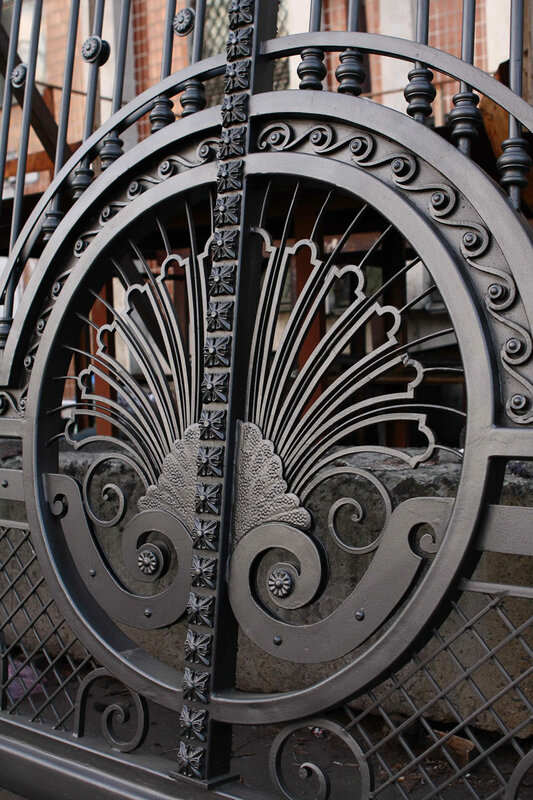 Open - allows passersby to contemplate all the beauty of your site. 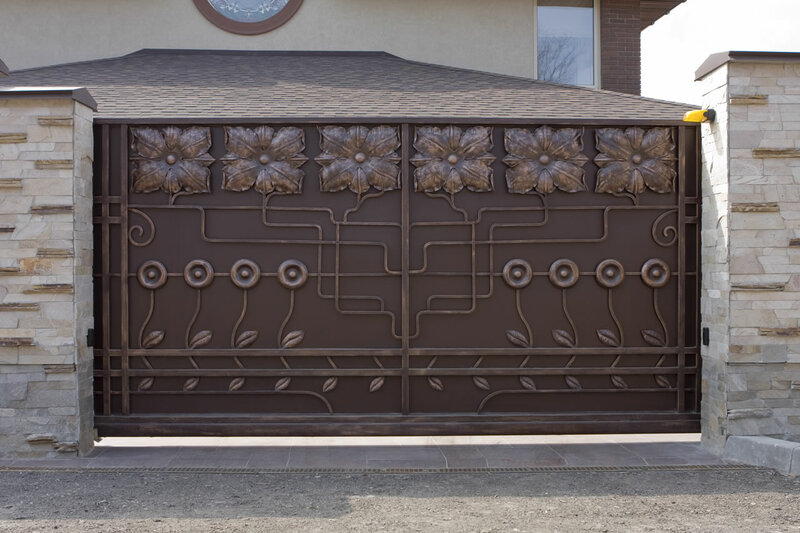 If you wish to hide your house from prying eyes, it will be closed appropriately. 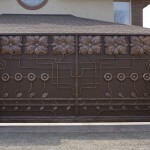 In addition, in such a design is much easier to hide the alarm wire, video surveillance, intercom, and so on. 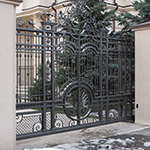 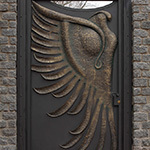 Forging of gates in Kiev at Tantiema plant made the best blacksmiths in Ukraine and CIS. 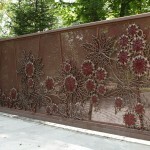 To see this, look at the photos presented in the gallery. 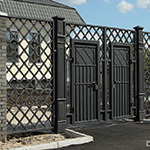 All photos of forged gates - our products. 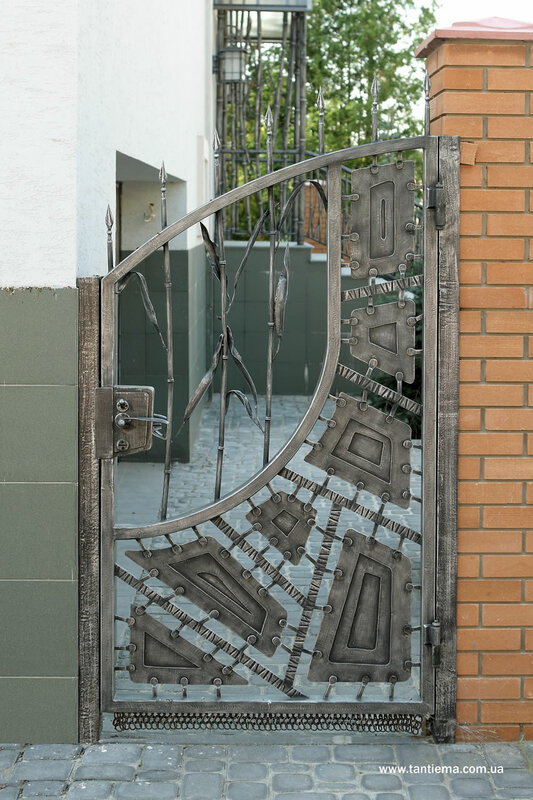 Tantiema have a huge collection of ready-made models, which are available in several editions of directories. 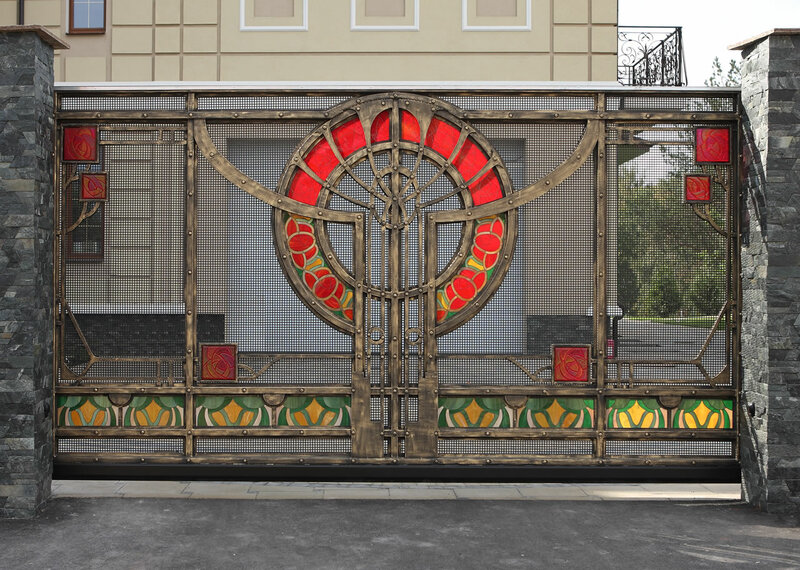 You can even choose a model, enclosing the world-famous palaces. 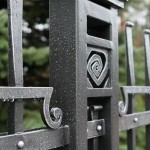 Of course, it is possible, in collaboration with our designers, to make adjustments to the product. 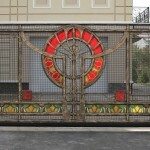 And also we can produce the gate completely unique that no one anywhere in the world. 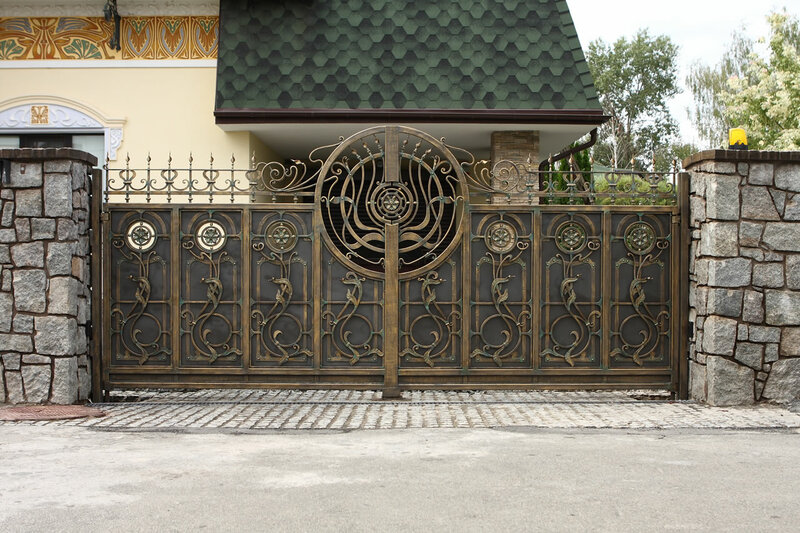 To get a complete architectural ensemble, better protect the land wrought fence. 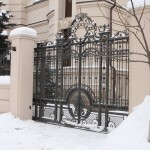 Hammered gates: prices in Kiev. 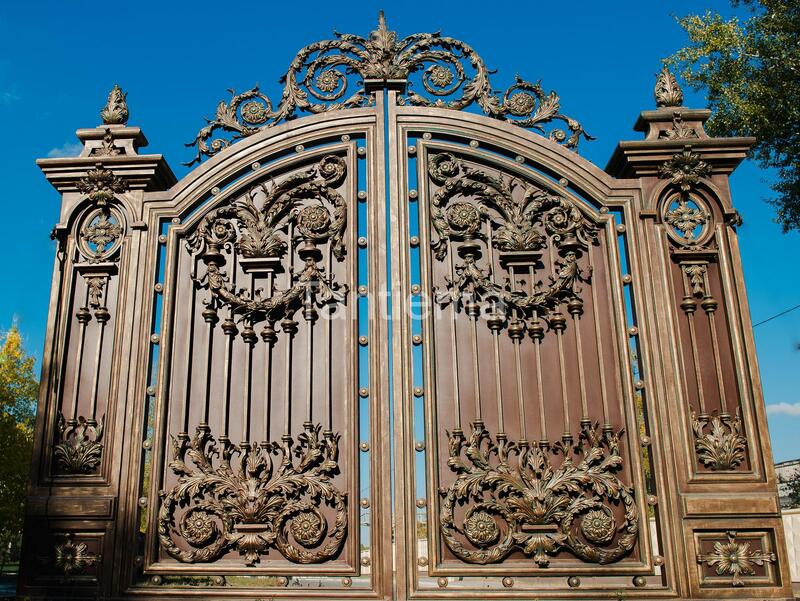 As with every piece goods, the prices of iron gates can not be considered to be too low. 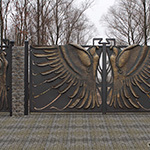 The cost starts at $ 1,350 per square meter. 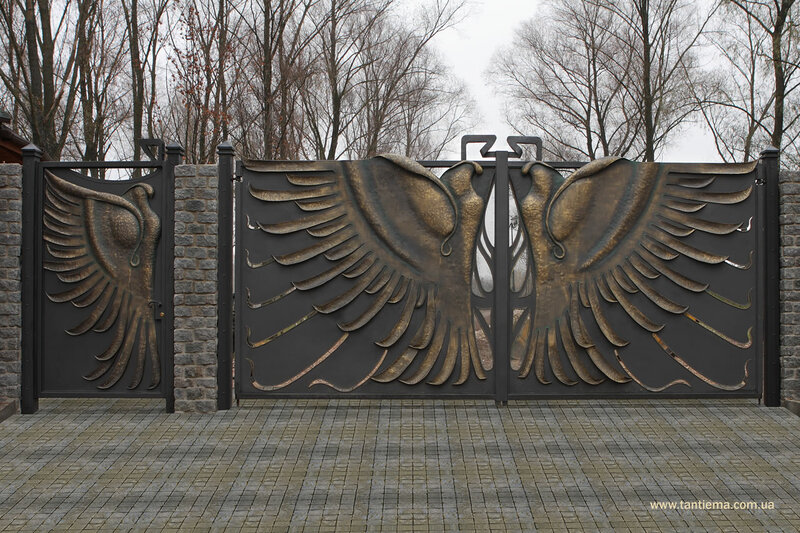 But keep in mind that the job will perform the best blacksmiths, and product life - forever. 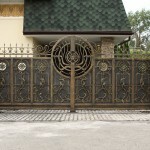 Therefore, if you build a house for the long haul, the cost is justified. 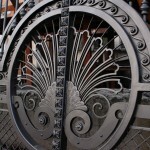 Also, we now produce forged gates in Boston.